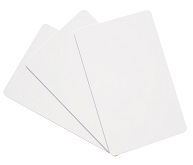 Mifare Ultralight, White PVC ISO Card 13.56 MHz. Please email sales@ableid.com for a quick no obligation quote. ABS Keyfob Basic TK/EM Chip. 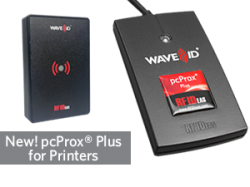 pcProx® Card Analyzer - Intelligent portable Card Analyzers for determination and analysis of proximity and contactless smart cards. 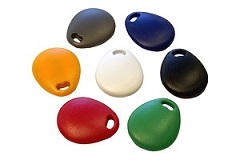 Able ID's Translucent Sailboat Keyfob is constructed of durable Polycarbonate plastic housing and available with most popular 125 KHz and 13.56 MHz RFID chip technologies. Xerafy’s Titanium Metal Skin is a revolutionary RFID label for smart tagging both metallic and non-metallic assets. Titanium is extremely flexible and has a low profile to fit small assets like smart phones and tablets. Compliant to EPCglobal UHF Gen2 and ISO 18000-6C standards, the Titanium Metal Skin is cost effective and versatile for a wide range of applications. Read range on metal up to 4 ft (1.2 m), Read range off metal up to 2 ft (0.6m).